Modern luxury villa with 2 bedrooms is located on the western plateau of Aphrodite Hills just 3 minutes walk to the central square. The villa is elegantly decorated interiors and is fully equipped to a high standard with a spacious open plan livin..
Modern luxury villa with 2 bedrooms and 2 bathrooms is located on the western plateau of Aphrodite Hills just 3 minutes walk to the central square. 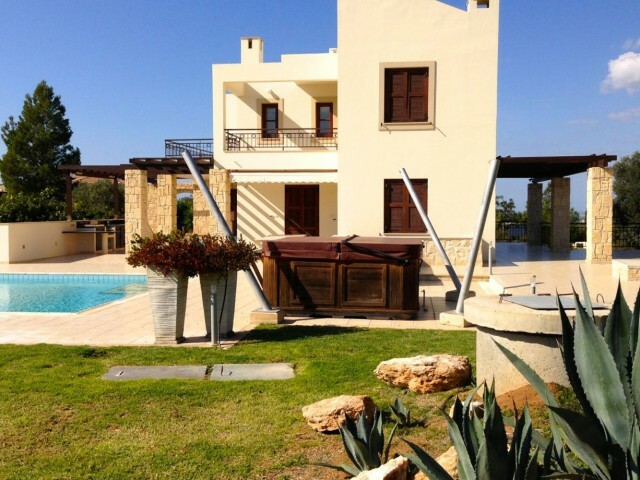 The villa is elegantly decorated interiors and is fully equipped to a high standard with a spacious.. 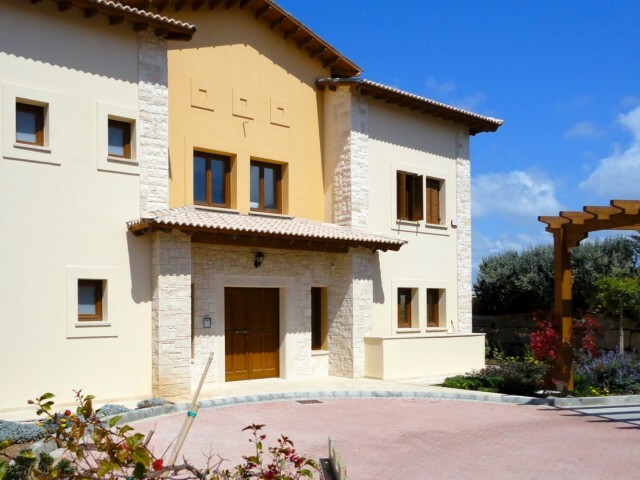 Comfortable villa with spacious 2 bedrooms, a private pool and views of the beautiful golf course. Ideally located on the western plateau within easy walking distance of the village square and the golf course. Entrance to the complex is restricted.. Comfortable villa with spacious 3 bedrooms, a private pool and views of the beautiful golf course. Ideally located on the western plateau within easy walking distance of the village square and the golf course. 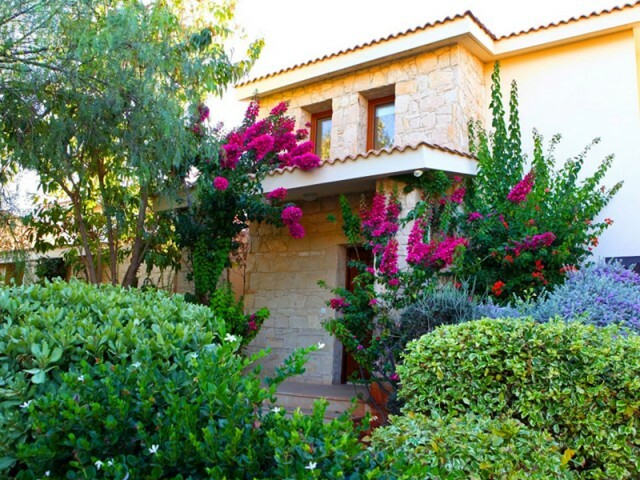 Entrance to the complex is restricted..
Beautiful villa with 4 bedrooms, 3 bath rooms is located on the Western Plateau Aphrodite Hills, occupies a spacious plot of land near the lake. The perfect location allows for a couple of minutes walking to get to the village square. The villa is.. Fantastic, well-furnished villa with spacious 4 bedroom, 3 bath rooms, located on the western plateau and has a beautiful view of the well-groomed golf course and within walking distance is the village square and the golf course, and other facilit..
Qualitatively built with thoughtful design stylish villa with 5 bedrooms, 6 bathrooms, located on the western plateau and has a breathtaking view of the sea and the valley. The villa is situated on a large plot of land, surrounded by green space, .. Spacious villa with 5 bedrooms, 5 bath rooms, located on the western plateau overlooking the sea, the valley, golf course, surrounded by a natural landscaped gardens, has a private swimming pool with overflow, landscaped garden, terrace, balcony, .. Magnificent villa with 5 bedrooms, 5 bath rooms, which is located on the eastern plateau and located in close proximity to a golf course, allowing you to enjoy the highest level of the game. The house is situated on a large plot of land, surrounde.. 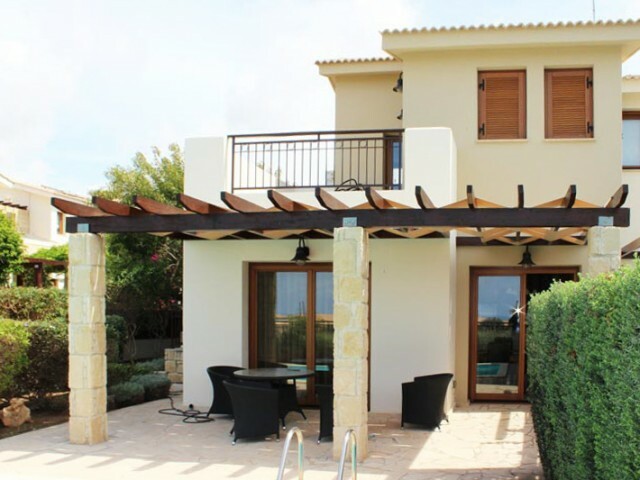 Fantastic bungalow with three bedrooms in a complex Aphrodite Hills has a fabulous view of the sea. Bungalow is located on a large plot of land, surrounded by beautiful green areas, landscaped gardens, a private swimming pool, a spacious seating a..